I was halfway through my driver examination when I made the most careless mistake of my life. Everything had been going absolutely perfect up until that point; my instructor had told me he didn’t have even a single point on me. Then, it happened almost instantly, faster than I could’ve ever imagined. In a combination of nerves and pressure, I made a reckless left turn at a yield intersection, which almost ended in a deadly crash. I had completely disregarded the white Honda Pilot that was raging toward me at around 50 mph. While I did manage to avoid what would’ve been a huge crash, I was surprised my driving instructor didn’t need a change of pants. Now, I get it. Plenty of people fail the test their first time. I took it in July 2017 and wasn’t exactly surprised that I failed, so I wasn’t too irritated with myself for failing. But that’s not what bothered me. What annoyed me was not knowing why I had actually failed in the first place and not knowing what led me to make the most careless left turn of my life. I knew failing the test couldn’t be as simple as simply making a traffic mistake; everyone does that at some point. There had to be an underlying reason as to why I failed; a reason I’d have to think deep down to fully understand. Thinking critically as I like to do, I soon realized the issue: I had gotten too used to my parents guiding me through my driving. I would always depend on them to say if I should yield to an oncoming car, make a turn. I would always rely on them to tell me what road to take, what speed I should drive and other basic rules of the road. 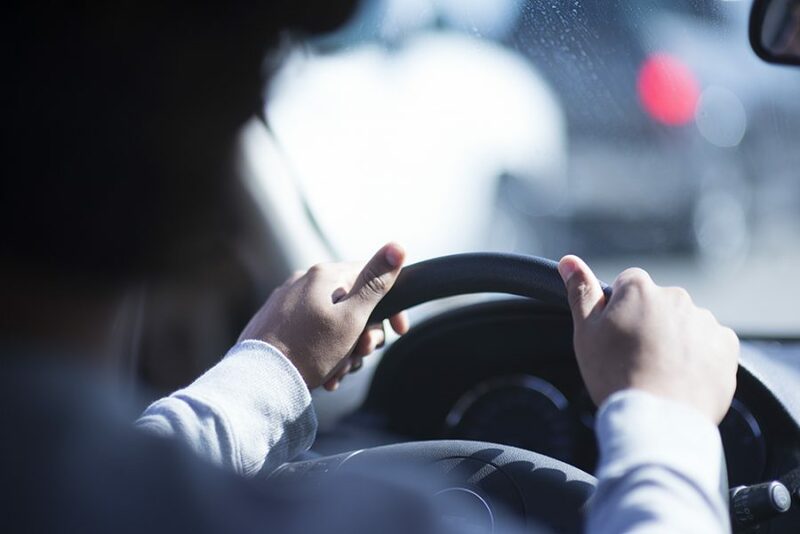 Although this was helpful when I was learning to drive, I got too accustomed to it and let my parents do all of the thinking for me, even after I became an adept driver. And it bit me in the rear end when thinking by myself mattered the most. I spent the rest of that day pondering this issue, and something dawned on me: My lazy mindset didn’t just apply to my driving; it applied to many other things that were important to my success in life. For example, I had always depended on other people to help guide me through the process of schoolwork, much like I had depended on my parents to help me drive. It wasn’t until after failing my test that I realized something important: only I am responsible for how successful I will be in my life, whether it be academics, driving or just life in general, and lazily depending on others to help guide me would only lead to disaster. You see, this was much bigger of an issue than simply failing a driver’s test; this was about taking control of my life. I had to drop all of my lazy, overly dependent habits. Anytime my parents tried to guide me through driving, I respectfully denied their help. Anytime I received a major school assignment, I would try to get started on it myself without the help of my older sister. Anytime I logged onto The Common App to apply to college, I would start and continue applying without depending on others to guide me through it. I began to work on assignments, projects and other personal things that I wouldn’t have worked on before. Slowly, I see my life become a bit more controlled and organized. Before failing my driver’s test, my life was similar to a jumble of jigsaw puzzle pieces — nothing was together. After facing and accepting failure, however, my decision to take initiative and responsibility for myself led to priceless change in my life, and for that, I am very grateful. I’m not afraid to admit I am still a work-in-progress — I still have organizational flaws and the usual laziness associated with the typical high school senior — but I am much more aware of my strengths and weaknesses. That alone has made me a much better person than I ever was before.